Technology innovations helping investors do-it-themselves. Investors, advisers, financial institutions, charities, universities, churches and schools have, for years, mapped out their planned annual expenditures and put in place a cash / term deposit strategy around that. Yet Many investors can be guilty of ‘setting and forgetting’ the cash component of their portfolio. Investors, particularly SMSFs invest in cash as part of the defensive portion of their asset allocation, and also use cash investments as a parking place for amounts on their way into or out of the fund. Treating the cash holding as an investment in its own right means thinking about earning the best return on it, and also diversifying the cash holding. While checking the market for the best rate is difficult to do – given that there are almost 150 Australian Deposit-taking Institutions (ADIs) in the Australian marketplace – it can save significant amounts of money. This becomes even more cumbersome if investors are running multiple term deposits concurrently, from both an upfront application and a maturity management perspective. Often ‘active management’ turns into ‘passive management’, despite the wide spread of interest rates in the market providing ample scope for active returns to be generated. According to term deposit fintech Cashwerkz, Australian cash holders forego at least $4.2 billion in interest a year by not actively managing their surplus cash investments to look for current market rates on offer. In a nutshell, passive cash investors are not maximising their money. So what’s the solution here? It’s a do-it-yourself evolution, which utilises technology to generate greater ‘bang for back’ with minimal effort and we’re calling it DIY v3.0. 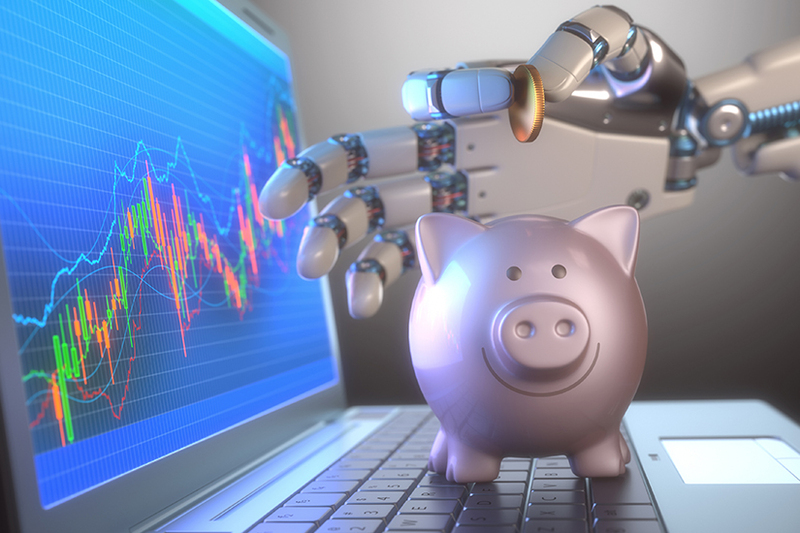 The development of technology by fintech firms over the past few years is something which investors can embrace to help achieve greater returns without taking additional risk when investing. By leveraging this technology when implementing a strategy for cash and partnering with fintech companies, investors will be able to have greater choice of what cash products are available, so they can make an informed decision of the term deposit product most suited to their investment needs. Cashwerkz, a leading-edge fintech company has developed a term deposit platform for Australian investors, to maximise earnings on cash allocations, whilst simplifying the administration time to invest, transact and manage cash investments. Maturity management is a key part of the Cashwerkz platform and allows investors to switch banks at the click of a button instead of automatically rolling over into a lower rate. Investors should also consider diversifying their cash holdings. At first thought, this might appear unnecessary: cash is cash. But like any part of an investment portfolio, cash can be spread among different investments, diversified by rate, maturity and institution. In particular, investors should look at taking advantage of the Australian government’s guarantee on deposits in ADIs, which is capped both by amount – up to $250,000 per investing entity – and by ADI. If you have $250,000 with one ADI and $250,000 with another, then both of your deposits are guaranteed. If you have more than $250,000 with one ADI, then only up to $250,000 is guaranteed. Importantly, some ADIs operate multiple brands, and may offer deposit accounts under more than one brand name: however, they are still part of the same ADI. The guarantee covers deposits per ADI, not per brand name. “Historically switching banks to a more suitable term and rate has been too much of a burden for investors, which is why cash is often ‘parked’, but with Cashwerkz, switching ADIs is as easy as rolling over, so the investor can get a better return, without the additional effort”. The spread of rates can be quite significant as well. This month alone, Cashwerkz, saw rates ranging from 2.00% - 2.60% for 3 months, 2.00% - 2.75% for 6 months and 2.45 – 2.85% for 12 months. When looking at a $200,000 term deposit for 6 months, that’s a $1,200 difference. “There is a very big difference in return for passive and active investors. Through our cutting edge technology at Cashwerkz, we help all investors maximise their returns with less effort” said Mr Ortiz.